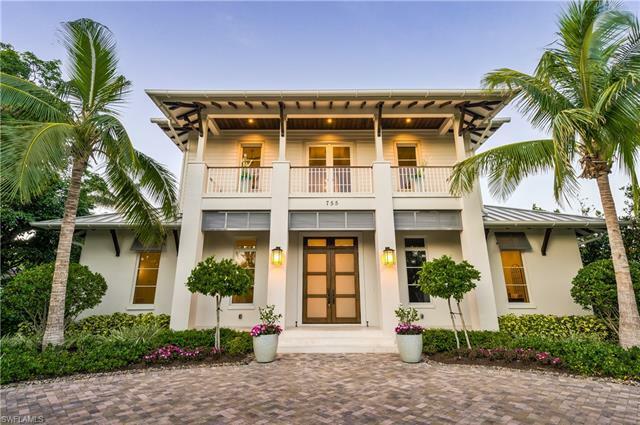 Beautiful Calusa Builders home featuring magnificent high ceilings and spacious design for the discriminating buyer. This home features 4 bedrooms plus a den, 4 full bathrooms and 2 half baths, large swimming pool with four fountains and large entertainment area. Kitchen opens to wide living space with fireplace. This is a great home for entertaining and is in close proximity to Old Naples dining and social activities. Start your dreams today!